President Reuven Rivlin on Monday will begin interviewing parties elected to the new Knesset regarding their preference for prime minister, and most parties have declared they will tell Rivlin they prefer Binyamin Netanyahu. According to weekend reports, Rivlin is likely to ask Netanyahu to form a unity government together with Benny Gantz’s Blue and White party – but sources in the Likud said that Netanyahu would not agree to the idea. The sources told Yisrael Hayom that a unity government with Gantz was out of the question after the long and difficult campaign waged – because of Gantz’s terming Netanyahu a “traitor” during the election. “There is no chance that Netanyahu will work with Gantz after what he did.” By calling Netanyahu a traitor over his support for the sale of advanced German submarines to Egypt, Gantz “crossed a red line,” the sources said. According to Israeli election law, Rivlin will meet with all the parties and then invite their preferred candidate to form a government. 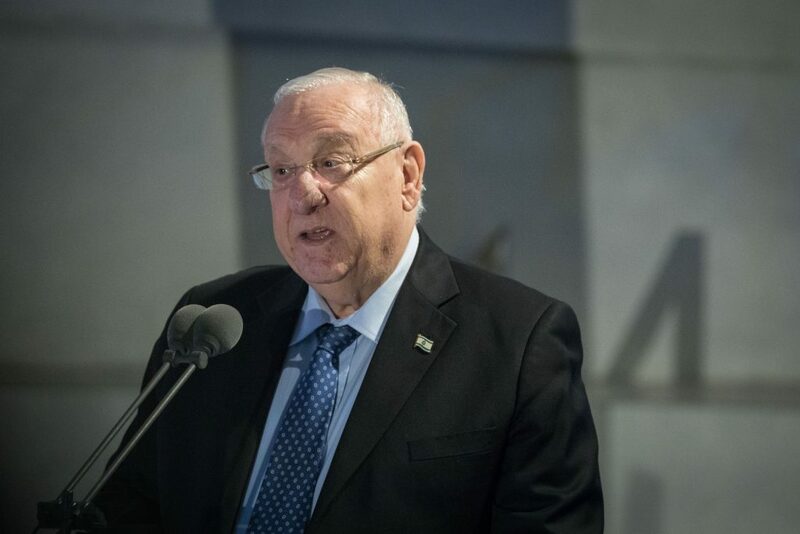 The candidate will have 28 days to form a government, and if efforts are unsuccessful, Rivlin has the option of extending that by another 14 days.